Monte Lipman has always been on the cutting edge of promotion and the use of promo as a tool for breaking records; his latest success is another manifestation of that mastery. 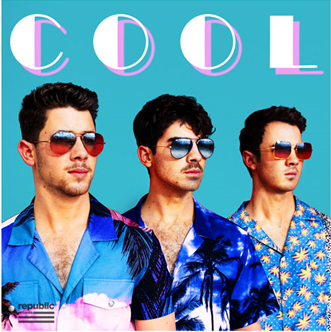 As the Jonas Brothers smash “Sucker” heads for the Top 5 at Pop radio (as the #1 Greatest Gainer), sits in the Top 10 at iTunes, trends Top 15 at Spotify U.S. and is Top 20 Shazam, Monte’s Team Republic is ushering a new track, “Cool,” up the flagpole—in keeping with an emerging model for success in the streaming era. Much as the label did with Ariana Grande, Post Malone and Drake, Gary Spangler and team are preparing the ground for a full-length with multiple tracks that are being worked simultaneously at the same formats. Rather than follow the time-honored tradition of allowing a single to run its course before setting up the next track, the Republic crew has pivoted to a strategy that’s tailor-made to reach critical mass in the streaming era. The summery “Cool” has been hovering in the Top 5 at iTunes, hit #35 at Spotify U.S., has garnered 15m+ video views and, in its impact week at Top 40, is the #6 Greatest Gainer—could it have a similar impact as its predecessor, or even greater? How will these rapid deployments change the equation for pre-album campaigns across the board?